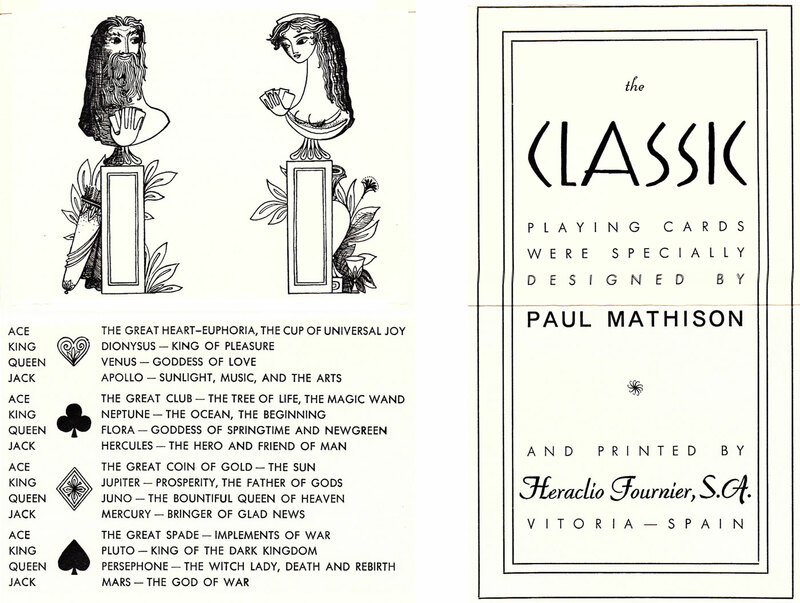 Above: “Classic” playing cards designed by Paul Mathison and printed by Heraclio Fournier S.A., 1959 & 1970. 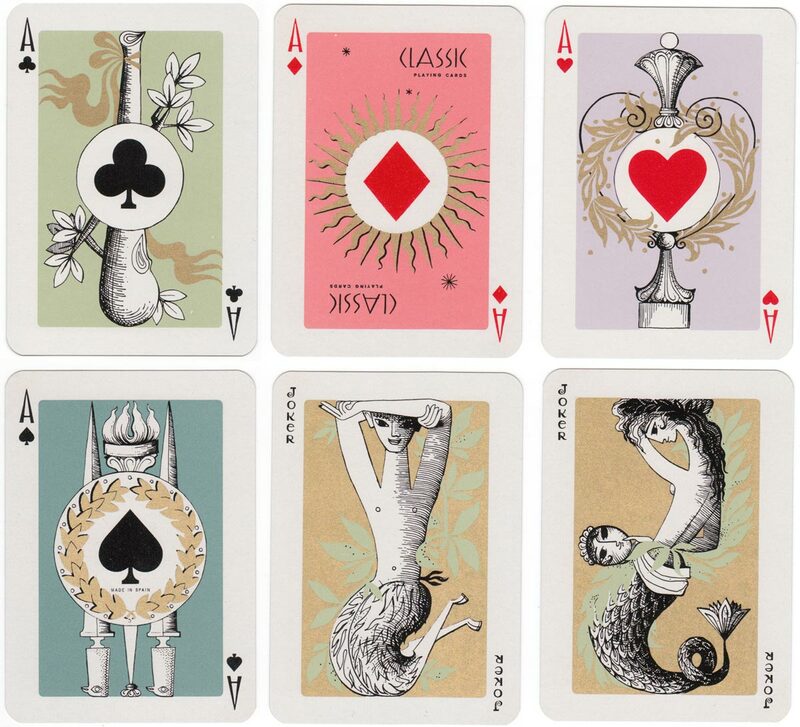 The four aces (shown above) incorporate both French and Spanish suit symbols. 52 cards + 2 jokers + leaflet in box. This is the second edition of 1970. The four of clubs has the black exportation tax stamp used after 1964.